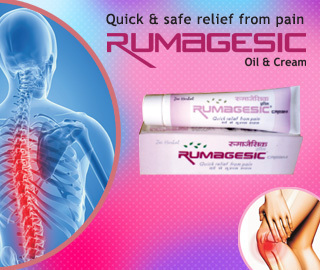 Rheumatoid arthritis, Fibrositis, Post Trauma Discomfort, Joint pain and Arthiritis, Sprain and Musculat Pain, Lumbago, Sciatica and Myositis. 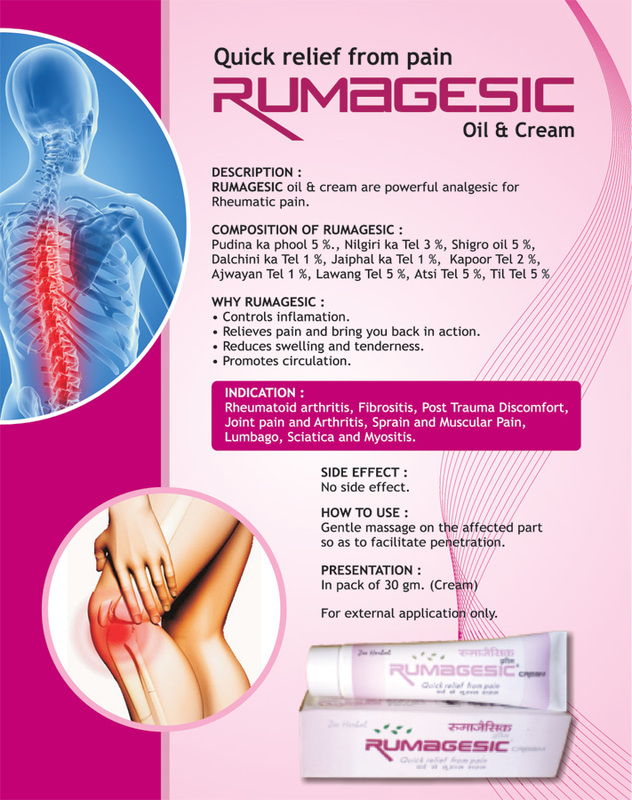 RUMAGESIC Oil & Cream are powerful analgesic for Rheumatic pain. Relieve pain and bring you back in action.